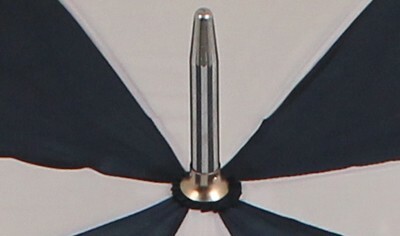 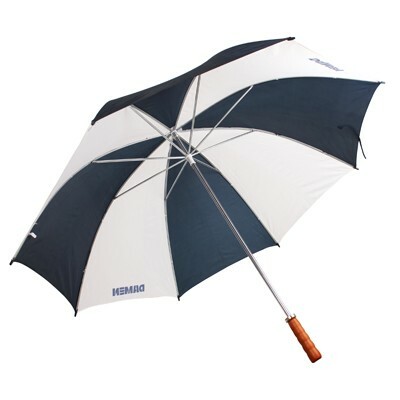 This umbrella has 8 panels and comes in navy/white colour. 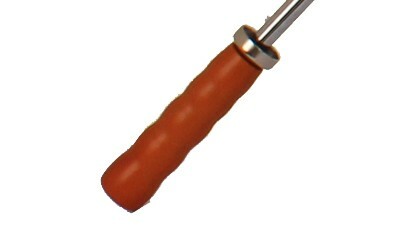 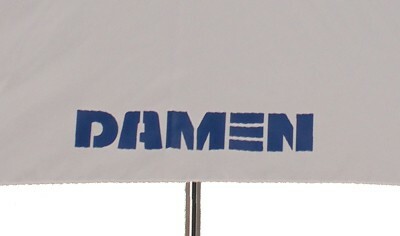 It has the blue Damen logo on two positions. 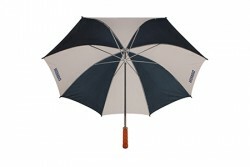 This product will keep you dry in rainy days!